Samsung devices are good for a lot of things, but quick updates ain’t one of them. On an average, it takes them close to 6 months or longer for them to update any of their flagship devices to the latest version of Android. The builds are usually developed in October, and an open beta is rolled out a month or so later. 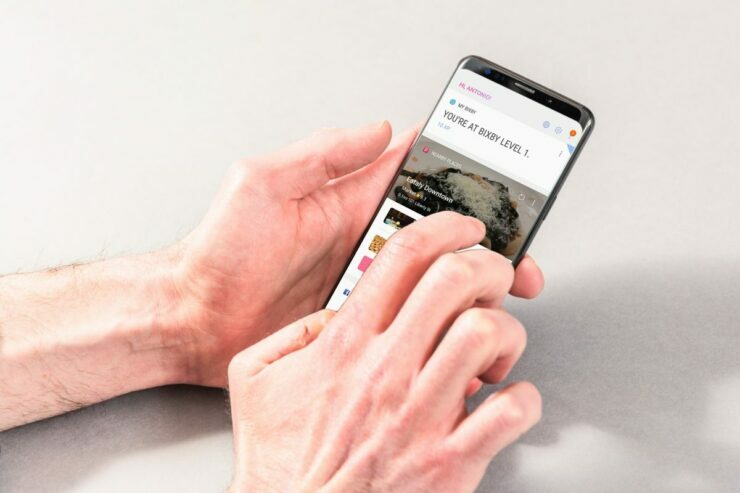 However, a very early development build of Android Pie has surfaced online, and XDA Developers managed to install a test build and take a peek at what could be Samsung Experience on Android Pie. Samsung Experience 10.0 brings one of the most change is the new AMOLED Dark theme. Samsung is calling this the night theme. It seems as though it is broken in this build, though, and is always enabled even though there should be a light theme available. The lock screen now has the time close to the centre. It is also using a new design for the clock. The colour of the icons has now replaced the quick app shortcuts at the bottom of the screen. The recent apps overview menu on Samsung Experience 10.0 has also been revamped in the Android Pie style. It now has the dock at the bottom and has the recent apps overview scrolling horizontally instead of vertically. The new card style UI with curved edges is on par with what the Google Pixel has with Android Pie and is apparent with the notifications and in the settings app. The Quick Settings pulldown now has the rounded buttons without the quick access to changing settings, like connecting to Wi-Fi without opening settings. Samsung has also chosen to make the full pulldown far fullscreen. The native dark mode can be triggered manually enabling it, on scheduled time or automatically when in the dark. The new motions and gestures menu has all of the old gestures like a swipe on the fingerprint scanner and palm swipe to capture. And a new feature: lift to wake. This will wake up your phone when you pick it up from a table. Motions and gestures also get a new tab within the Advanced Features settings. There’s even support for native gesture support, presumably based on the ones that come with Android Pie by default. We’ll have a full guide on how to install the build on your device up shortly. Watch this space for more.